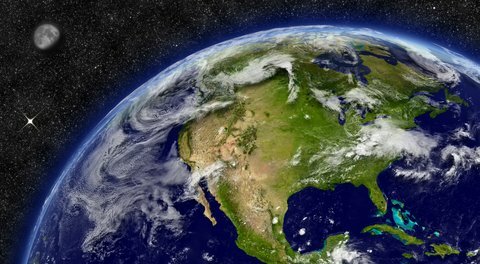 Once a year on April 22 we hear about a thing called Earth Day. And although many people around the world acknowledge it, how many of us actually do anything significant to honor what Earth Day represents? Becoming popular on college campuses in 1970, Earth Day actually stemmed from Arbor Day which was founded in Nebraska in 1872. That first day saw over a million trees planted in Nebraska alone. Since then, the commemoration both occurs on the same day which is the day after the spring equinox. This year will be one of the most significant Earth Day events in history as the US and China sign the Paris climate agreement. The agreement pushes the envelope on reducing greenhouse emissions by the countries who are the biggest polluters. The Earth Day Network has pledged to plant 7.8 billion trees (one for each person living on our planet). Considering how incredibly difficult the task of saving our planet is, Margaret Mead simplified it best. “Never doubt that a small group of thoughtful, committed, citizens can change the world. Indeed, it is the only thing that ever has,” she said. And she’s right; good things catch on but we have to start somewhere. Simply becoming mindful of your part of the cause is probably the best thing you can do. Becoming aware that every time you ride your bike to work or bring your own reusable shopping bags to the store is helping the planet, starts to program the mind to act more responsibly. Refusing to use plastic bottles not only reduces your waste but reduces fossil fuel consumption and those nasty chemicals like BPA’s that inevitably end up in our water supplies. As an avid outdoorsman, I have trained myself to be aware, to be conscious of my actions and their affect on nature. In turn, I have a keen sense of my surroundings which has spilled over into my daily life. I use a lot less, waste a lot less and encourage others to do the same. Awareness is addictive and it opens up whole new worlds and keeps the mind and body healthy. In a nutshell, most of us are not scientists or scholars in the field of greenhouse gas effects, wastewater treatment engineers, bio fuel technicians, or biologists. But when it comes to our footprint on this planet, we all take up the same space and we all have control of how much we impact the earth both positively and negatively. What each of us contributes is equally significant to the enormity of the challenge. Each one of us can change the world in some way.